Like co-star Emmy Rossum, longtime Shameless star Cameron Monaghan has announced his decision to leave the Showtime series. Shameless Season 8 is officially a go at Showtime as actress Emmy Rossum settles her pay dispute. As Showtime looks to move ahead withShameless Season 8 of Shameless, star Emmy Rossum demands equal pay with her male co-stars. Dermot Mulroney will have a season-long arc on Showtime's Shameless, playing Fiona's new boss at Patsy's Pies. Each show has been given a new 12-episode order set to debut in 2015, with production to commence later this year. The network will offer full-season marathons in back-to-back weekends starting January 3. All three shows return on Sunday, January 12th. Shameless kicks off the night at 9 PM ET, followed by House of Lies at 10 PM ET and Episodes at 10:30 PM ET. Shameless Season 4, House of Lies Season 3, and Californication Season 7 will debut next year on Showtime. 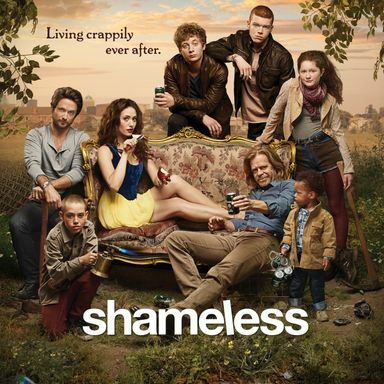 Watch the Shameless Season 3 Premiere! William H. Macy returns as the patriarch of the bizarre Gallagher family in this hit Showtime series, airing new episodes Sunday nights at 10 PM ET. Showtime will debut Shameless Sunday, January 13 at 9 PM ET, followed by House of Lies at 10 PM ET and Californication at 10:30 PM ET. The Dexter panel on Thursday, July 12 will also feature a first look at the Homeland Season 2 trailer. Set in working-class Chicago, the Gallagher family, a working class family of eight, must survive the ups and downs of today's recession. With a mother who is out of her element and an alcoholic father who usually ends up passed out on the living room floor, 18-year-old daughter Fiona is left with the task of keeping her five younger brothers and sisters on the straight and narrow. This series is based on the UK series of the same name.